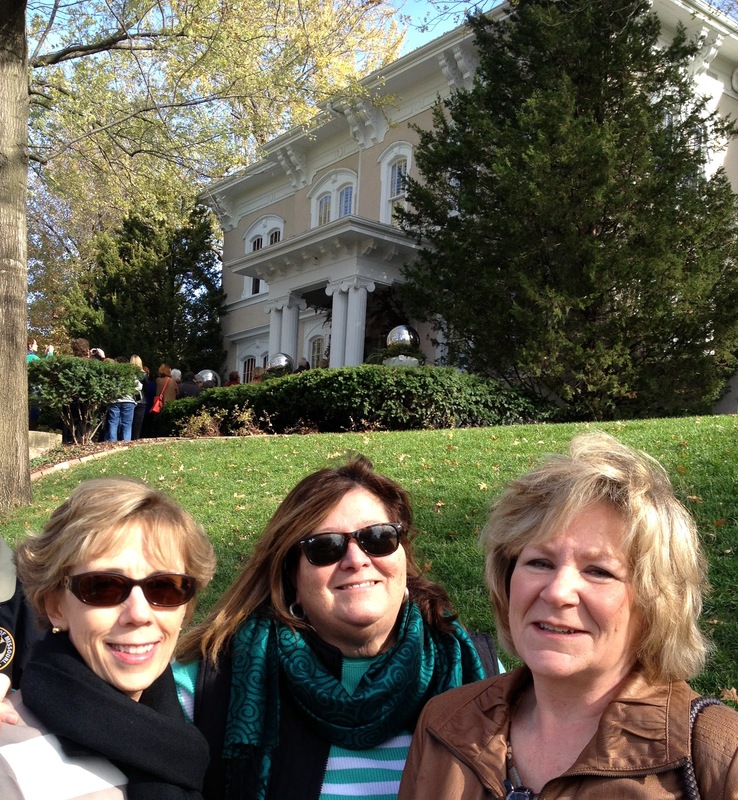 Just got back from a fabulous trip to Kansas City!!! Yes I realize Kansas City is not my usual tropical locale that would be the normal fabulous trip. 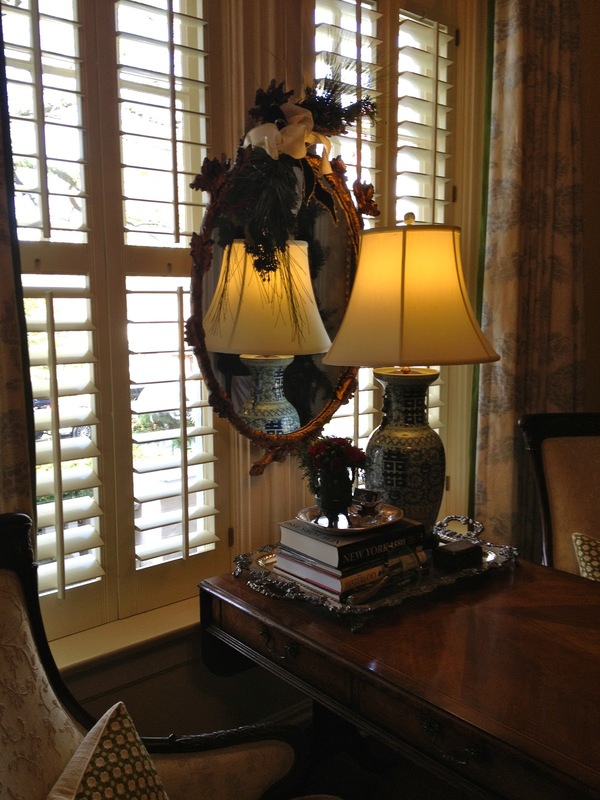 But this girls weekend of shopping and soaking up decorating tips was fabulous!! 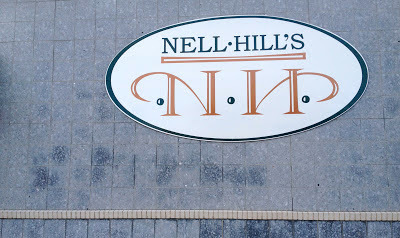 Nell Hill's shop in Atchison, Kansas is one unusual stop. 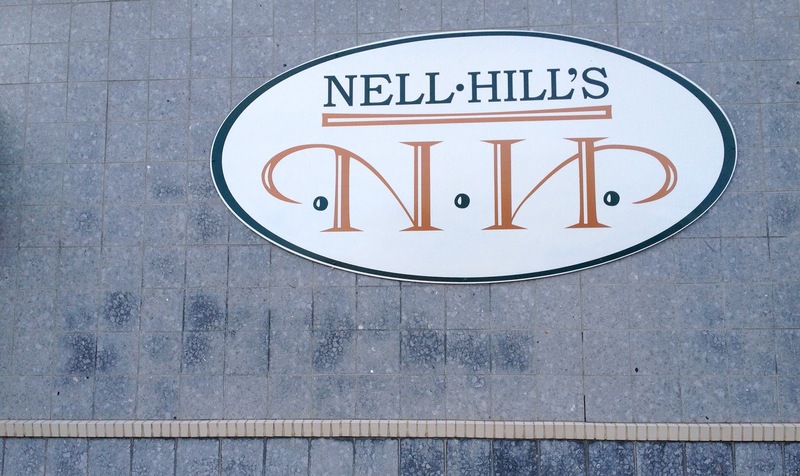 Here are Kip and Nan - right when we arrived at the Nell Hill's store in Atchison. It was so over the top that I think we were all a little overwhelmed. We all immediately started taking photos with our phones of arrangements and decorating tips- I have been in many stores that frown on people trying to "steal" ideas but this store actually encourages it!! 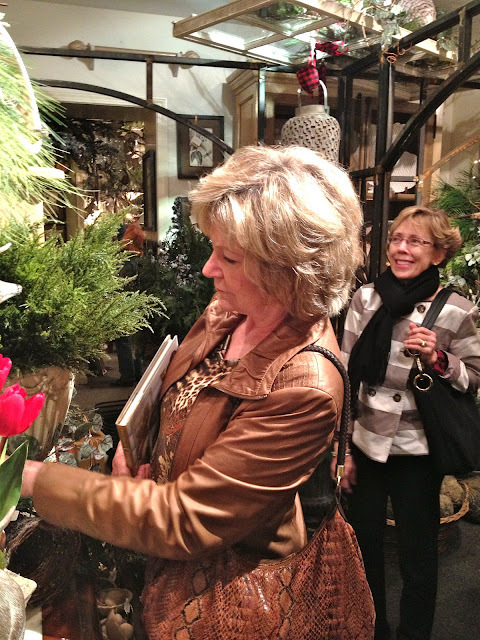 So welcoming and friendly - these saleswomen couldn't be more helpful. Every space is pure over the top! You think you have enough but you always need a little more! Here we are in line getting ready to tour Mary Carol Garrity's house. It was gorgeous! Totally stealing this idea up in Maine- would be great as you enter the foyer of the house at a party! Prosecco for everyone!! together make a great statement. Look at this easy layering!! 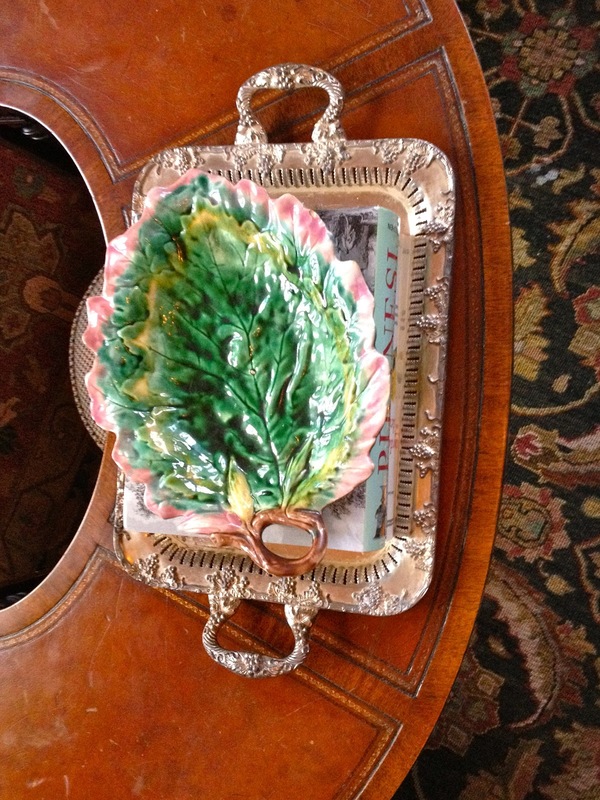 Just a silver tray- books and majolica plate! 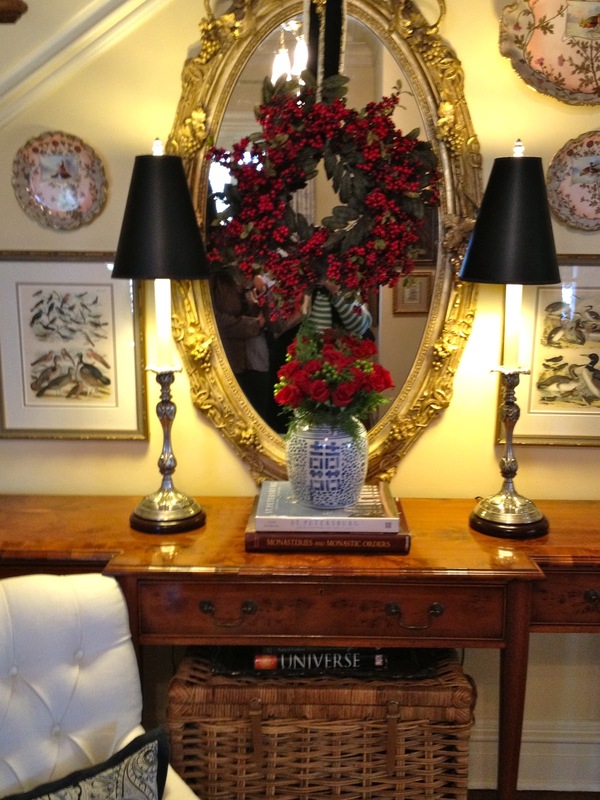 Mary Carol's foyer- just as you walk in her house you are greeted with this exquisite arrangement of plates mixed with framed prints. Every detail is perfect - love the books on top of the wicker trunk. 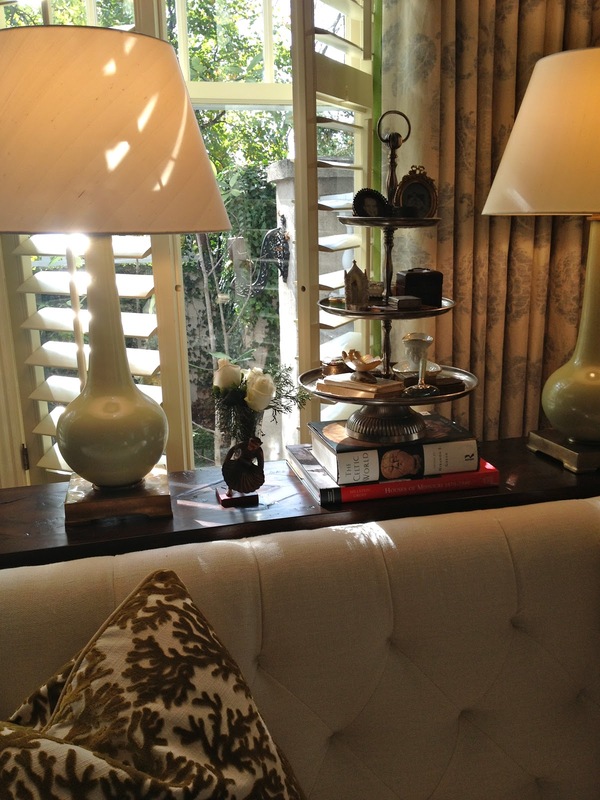 How about that grouping on a cake plate of all your little boxes- great idea! Don't forgot that spot over the entrance way and doorways- this grouping of framed prints looks great up there- draws the eye up. 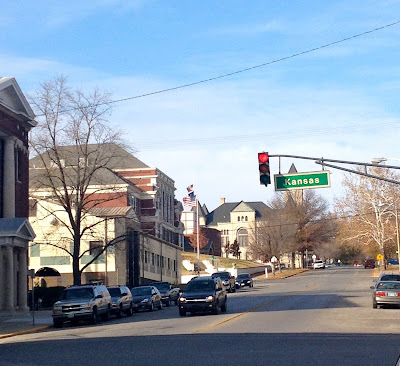 Let me tell you - Atchinson is a sleepy small town! 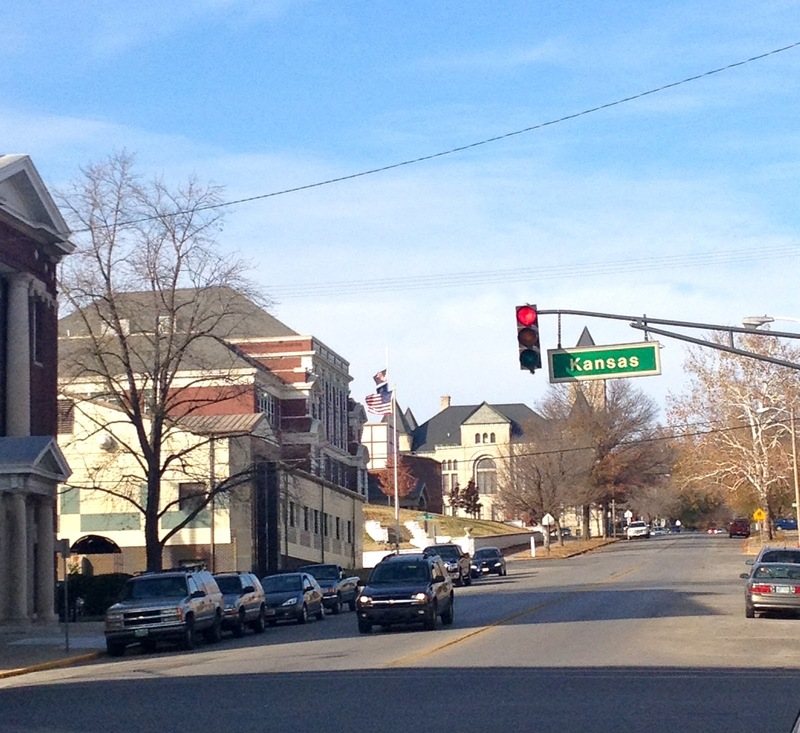 This is the stop light!!! Really so very mid west America! You would never know this fabulous store is here. Here is Nan with Mary Carol Garrity herself! She was so lovely and hospitable. Signed our books and greeted everyone at her front door! Couldn't have been lovelier !! Kip getting her book signed- a great time was had by all!!! And many dollars were spent! Thanks for a great time at a great store- We are already planing a trip back - Maybe for their sale in the Spring!!!! I want to be one of your "girls getaway" participants. I have always wanted to go there. Thanks for sharing such a great trip. I would have been in heaven. 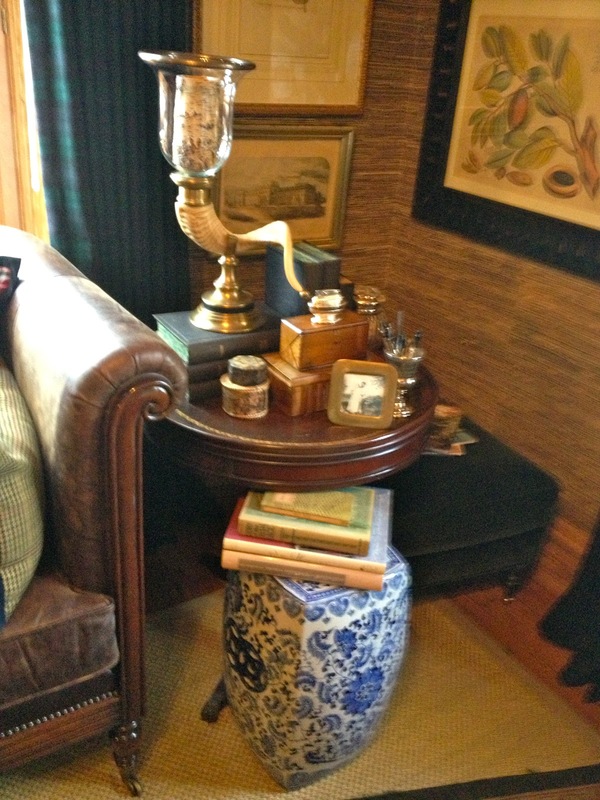 StumbledUpon your blog & just had to say I really enjoyed stopping by. I will dream about that view you have!